On the inside of the back cover of my 1999 copy (9th Printing) of The Creature From Jekyll Island I learned that Mr. Griffin graduated the University of Michigan, having majored in speech and communications. In 1989 he obtained his CFP designation (Certified Financial Planner) from the College of Financial Planning at Denver, Colorado. “Mr. Griffin is a recipient of the coveted Telly Award for excellence in television production, a Contributing Editor for The New American magazine, the creator of The Reality Zone Audio Archives, and is President of American Media, a publishing and video-production company in Southern California”. While there do click the link for The Creed of Freedom. G. Edward Griffin also works with James Jaeger and Matrix Entertainment to produce outstanding documentary films on Constitutional matters. The first of such films James made was the movie “FIAT EMPIRE“, which went viral with millions of views in 2006 and 2007. 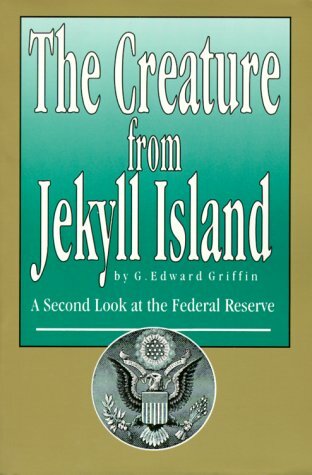 That film was based on G. Edward Griffin’s most famous work, The Creature From Jekyll Island: A Second Look At The Federal Reserve. The film featured Mr. Griffin with Ron Paul and Edwin Vieira. By the time Ron Paul was prepping his 2008 campaign the film FIAT EMPIRE was going ballistic across the nation and became a favorite with the Tea Party. 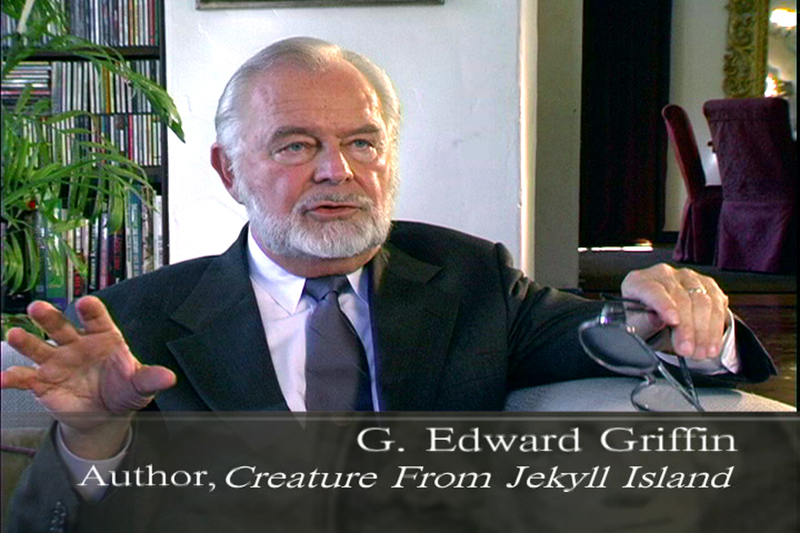 G. Edward Griffin, having inspired James Jaeger with the Creature book, has appeared in every subsequent documentary film on Constitutional issues by James Jaeger since FIAT EMPIRE went viral. The Mental Militia insists that all Mentalitians read the book and view FIAT EMPIRE. G. Edward Griffin is an empowering source for discovering sensitive and important hidden history. Largely ignored by the mainstream media, G. Edward Griffin was “discovered” by Glenn Beck, who hosted Mr. Griffin in 2011. G. Edward Griffin’s 1998 presentation on his landmark book on the Federal Reserve System in seven video segments. Two of our favorite people, G. Edward Griffin and Mike Adams, have a look at Monopoly Medicine. G. Edward Griffin shows “Meta-Might” with clarity in a great presentation on the Alex Jones network. 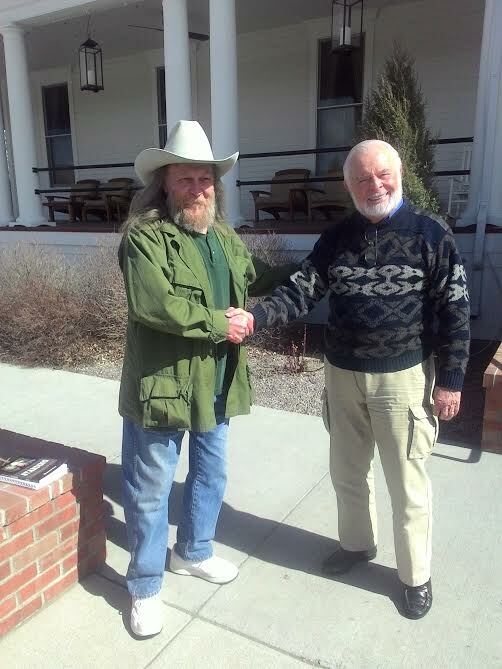 Over the weekend of March 12-13 2016 I drove down to Pony, Montana, as a guest of Dan Happel, former Madison County, Montana, Commissioner and member in G. Edward Griffin’s Freedom Force International. There at Pony that morning I witnessed a radio interview by Dan Happel with G. Edward Griffin. That interview was the inaugural show of Dan Happel’s new spot on the Republic News Network. I will post an MP3 of that interview shortly. Mr. Griffin also spoke Saturday evening at the Madison/Gallatin County Republican Parties’ Lincoln-Reagan fundraiser, and on Sunday G. Edward Griffin spoke impromptu at a brunch for about forty people at the Sacajawea Hotel in Three Forks, Montana. Over the span of the weekend Mr. Griffin and I had a chance to note the similarities between the mission of his Freedom Force International and The Mental Militia’s mission. We agreed to work in supportive ways, so that is happy news for The Mental Militia. 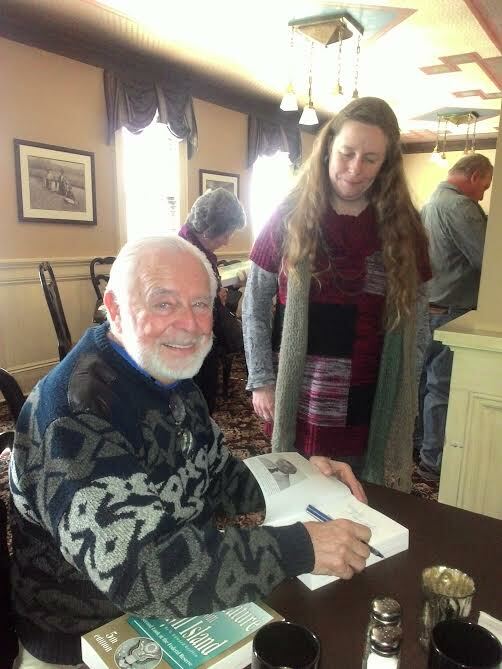 Associate editor for TMM, Cyrellys, is pleased to have her copy of The Creature From Jekyll Island autographed by Mr. Griffin at Sunday’s Brunch. Sarah Westall visits with G. Edward Griffin about the Red Pill Expo just days before the event took place in Bozeman, Montana, on June 23 and 24, 2017. This is good info about the dual purpose of the Red Pill Expo and the Red Pill University. G. Edward Griffin gave an excellent presentation in 1994 in California. Thanks to “jubair22” on YouTube, I’ve just found this in January 2017. 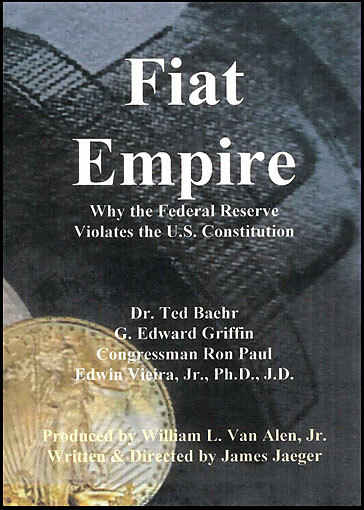 ….to listen to G. Edward Griffin’s 1994 presentation on the Federal Reserve System. This presentation is in seven YouTube videos, running about ten minutes each. The audio is very good, and the history with which Mr. Griffin packs this presentation is a treat for any American, especially we “conspiracy theorists” who dare question what our forefathers referred to as “the money trust“. There is no point in worrying about the erosion of personal freedom that is the reality of our present era if we can do nothing about it. They say that knowledge is power, but that is one of the greatest myths of all history. Knowledge without action is useless and leads only to apathy and despair. So the question is: What type of action can reverse this trend? Writing letters and signing petitions to the same people who have created the problem is not going to do it. Voting for candidates selected by power brokers with hidden agendas will not do it either. There have been many proposals to reverse the tide of totalitarianism but, after decades of effort, none of them have worked. In this address, G. Edward Griffin, Founder of Freedom Force, tells us why; and the reason is so simple, it will astound you. Once we clear away that single barrier, the plan for a pro-active counter-force falls quickly into place. This is the missing piece of the puzzle, the ultimate solution we have been seeking. Beginners will want to pause this one often to jot down notes.